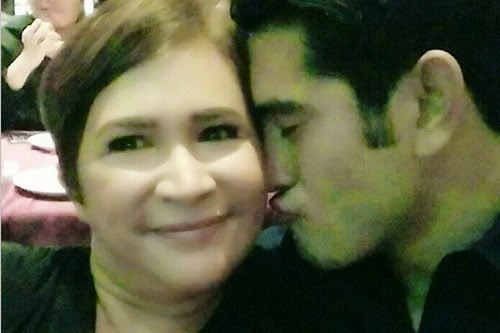 After the confirmation of Gerald Anderson and Maja Salvador's split up weeks ago, Actress Janice De Belen was drag in the issue linking her as the 'cause of the breakup. With this, the daughter of De Belen, Inah Estrada has finally break her silence via Push.com saying that the issue really affected her at first. She even said that Anderson and her Mother are good friends that there's no reason link them together. Estrada also said that she's open to see her Mom to fell inlove again 'cause she doesn't to see her grows old alone. Comments or suggestions about "Inah Estrada on Janice-Gerald Rumor" is important to us, you may share it by using the comment box below.